What does our 2015 variety of the year have that other chocolate doesn't? A bit of honey? A touch of salt? Whole almonds? Here's a clue: All three! 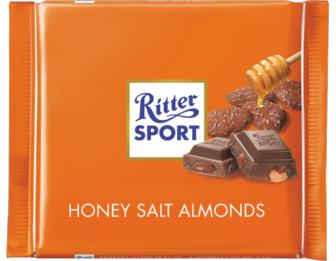 It’s the combination of these three ingredients plus RITTER SPORT's crunchy milk chocolate that makes our Honey Salt Almonds so uniquely delicious.